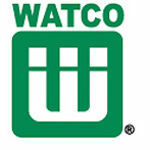 The Watco 11145-CP Chrome Plated PresFlo Brass Stopper (1.5" - 11.5) is part of the PresFlo Series. This stopper is designed for use with 1.5" O.D. 11.5 thread trim. Rated 5 by Trent Hofer H.